Listen to what happens when a simple attempt to implement SPC unearths some disturbing quality and process design flaws. Everything from gage choice and usage, process flow, machine location, material temperature control and incorrect specification all come together to create a whirlwind of chaos. This is a real case study, scrubbed to protect the victim. See how a few useful tools sort out the mess. But can it be totally fixed? Find out! This presentation is very controversial, as it destroys the myth of the normal curve in precision machining! Bob Doering has been in the quality field for over 16 years. He has industrial experience for over 34 years, many of which were in precision machining of automotive and medical components. 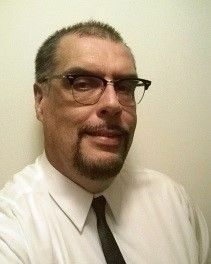 He is an adjunct instructor at Lorain County Community College in Engineering Technology and Enrollment Services departments, and has lectured classes in Metrology and Quality Management. He holds associates degrees from Lorain County Community College of Elyria, Ohio and The University of Akron of Akron, Ohio; BA in Business and MBA in Systems Management from Baldwin-Wallace College, Berea, Ohio. He holds CMI and formerly held CMQ/OE, CQE, CQA (ASQ) certifications. He has implemented the Correct SPC concepts in precision machining for over 10 years with significant success.